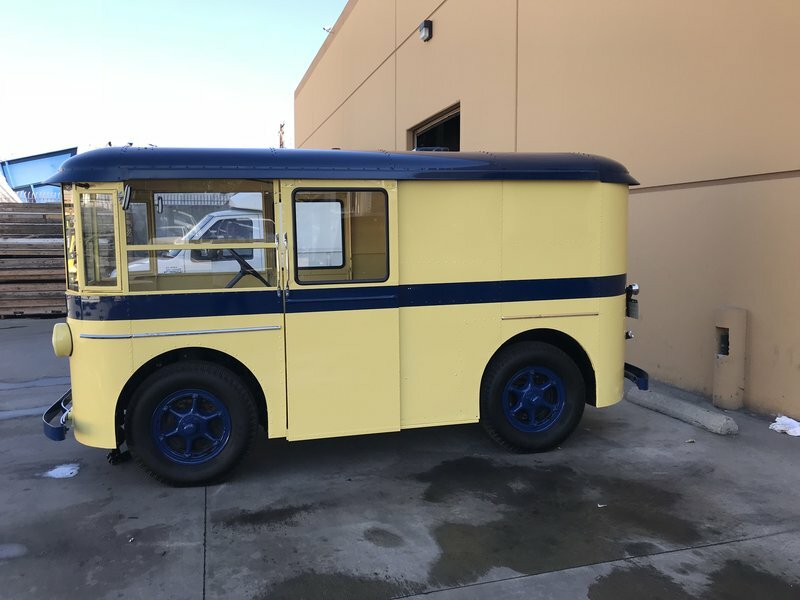 1933 Divco Twin Coach Helms Bakery Van, This 1933 Fully Restored Divco/Twin Coach Helms Bakery Delivery Van is for sale. 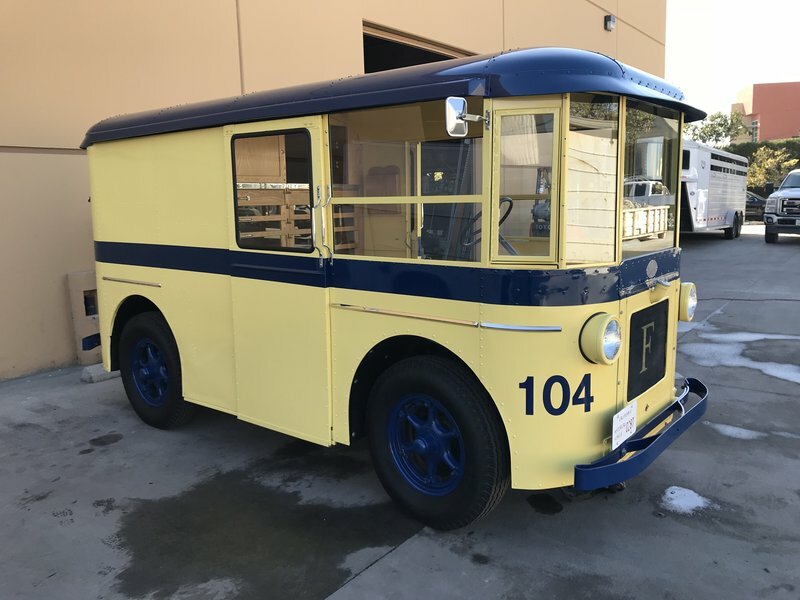 From the 1930's to the 1950's Helms Bakery located in Culver City used this van to deliver fresh baked goods to local households and neighborhoods. 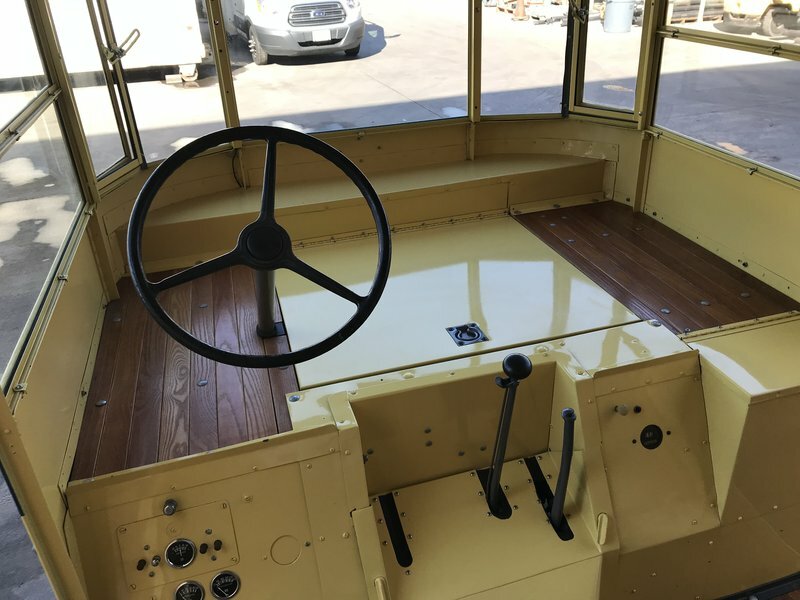 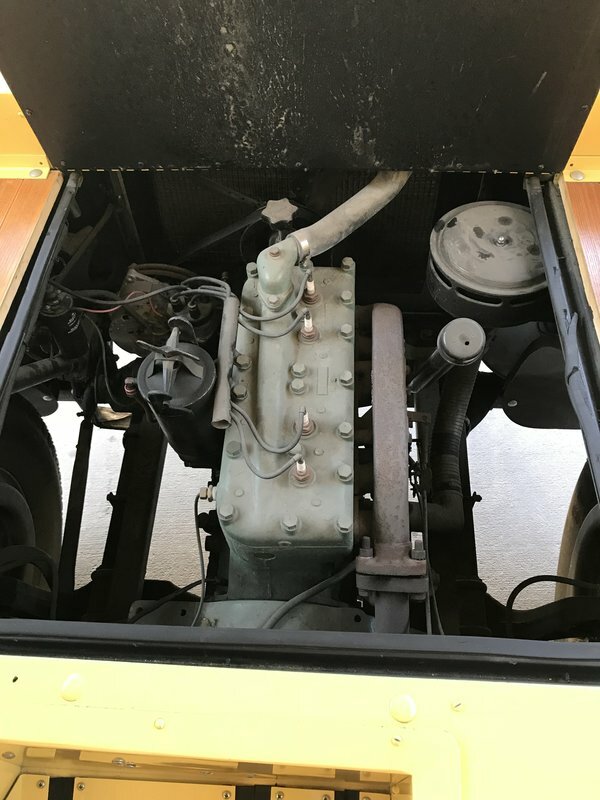 Only 50 miles have been added to this van since the Divco-Twin Coach, powered by its original 47 horsepower Continental L-head four-cylinder engine and Warner four-speed manual transmission was completely rebuilt and restored. 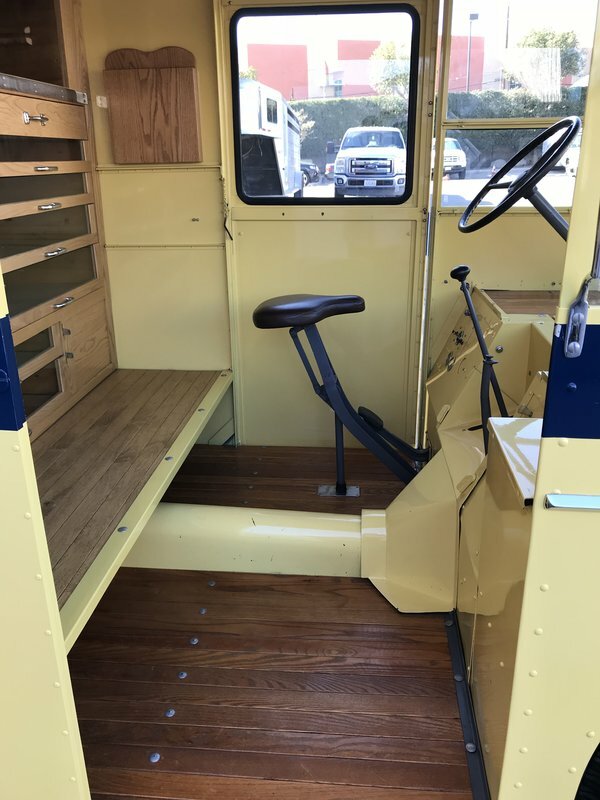 The van also has front I-beam axle and a live rear axle, front and rear leaf spring suspension, hydraulic brakes, and the 6 volt electrical system has been converted to 12 volt for reliability. 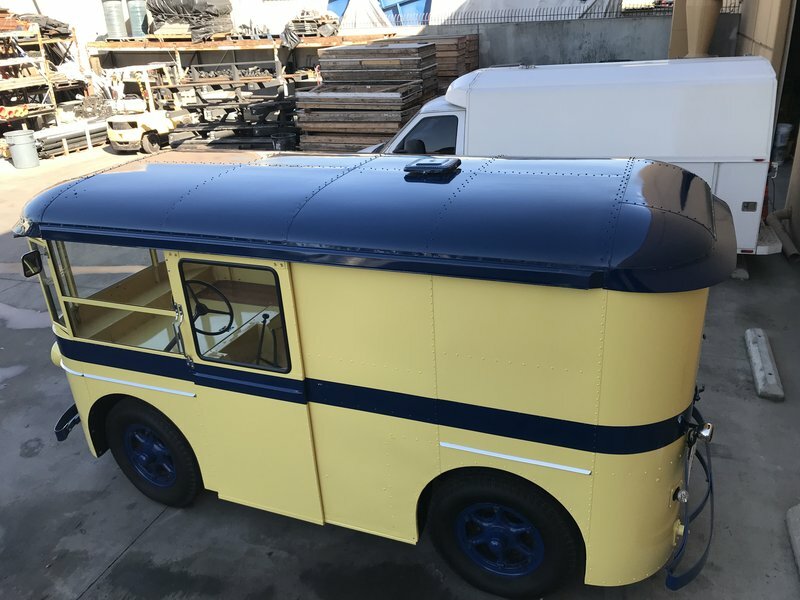 Even the exterior of the van was restored to its original Helms Bakery yellow with blue striping and blue roof. 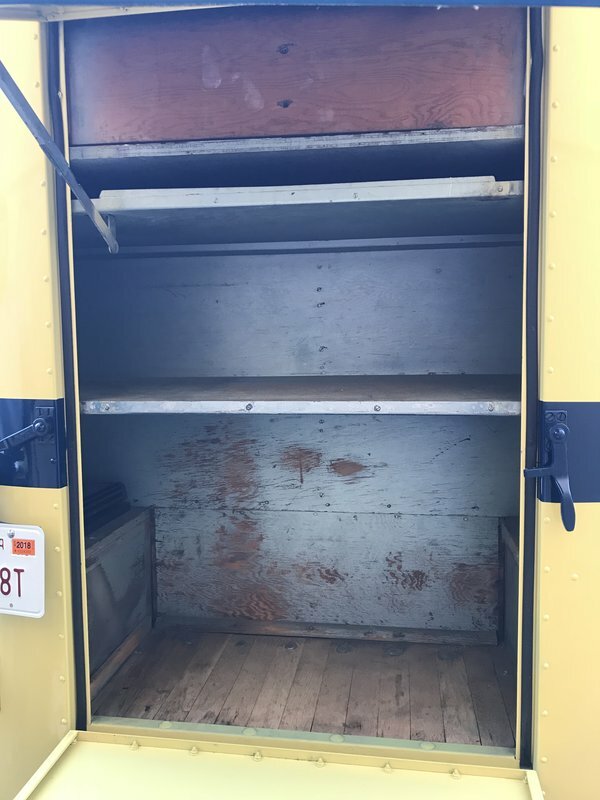 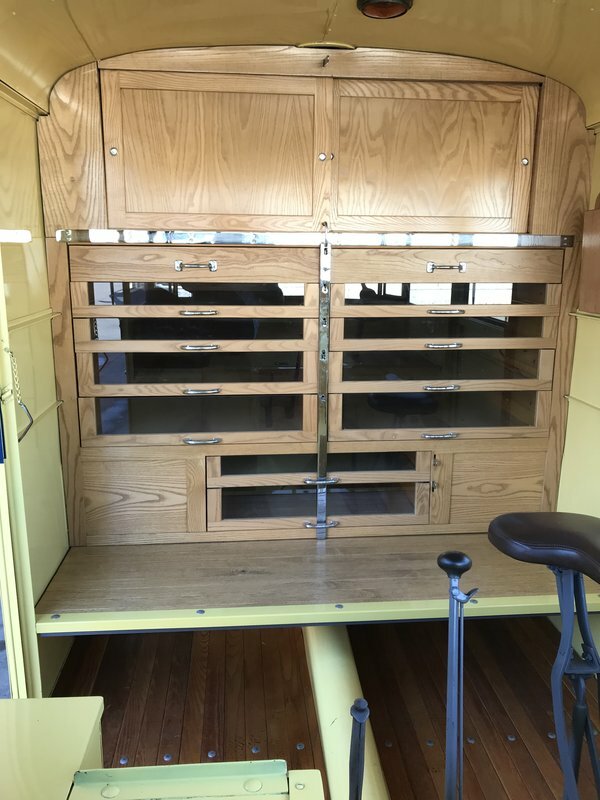 The inside features wood cabinetry with glass inserts in the faces for viewing the product inside, locking drawers, and the original “tweet-tweet” “pie-tin” whistle in working condition.